CHARLESTOWN NEVIS (OCTOBER 01, 2015) — The following is an address delivered by Acting Prime Minister of St. Kitts and Nevis and Minister of Finance Hon. 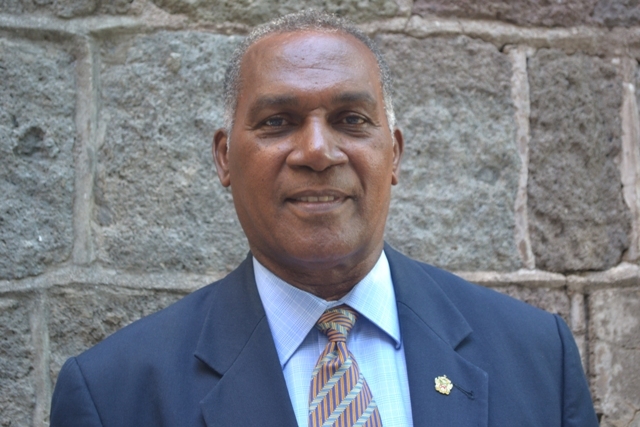 Vance Amory onOctober 01, 2015, on the occasion of Financial Information Month 2015. For the past 14 years, the month of October has been designated as Financial Information Month in the eight member states of the Eastern Caribbean Currency Union (ECCU). Financial Information Month is a regional campaign that strives to support the development of the region to a point where strong and sustainable economic growth is achieved and the well-being of all citizens is improved. The activities that have been arranged for the month are a collaborative effort of the Eastern Caribbean Central Bank, ECCU Member Governments, financial and academic institutions, the media, other private and public sector institutions and community based groups. The theme for this year is “LEAD – Learn, Empower, Achieve, Develop”. The theme is designed to inspire and challenge all citizens to LEAD in order to effect the change needed to spur financial, entrepreneurial, business and economic success at the personal and institutional levels. It is envisioned that once this is accomplished, the lives of our people and our economies will be transformed in a positive way. It is our wish that all citizens and residents will be able to secure positive outcomes for themselves and their families through increased knowledge, understanding, skills and confidence in financial matters. To LEAD we must be able to set financial goals, manage our financial resources and invest wisely. Financially strong families build financially strong communities and by extension, wealthy nations. We recognize, however, that St. Kitts and Nevis is a small, vulnerable nation that will not escape the challenges that emerge as the Financial Services Sector becomes even more integrated and competitive on a global level. We should therefore seek to understand the ever changing developments at the domestic, regional and international levels and how they affect the sector and our everyday lives; developments such as the fairly recent reduction in interest rates on savings accounts and compliance with the USA’s Foreign Account Tax Compliance Act (FATCA) in the face of renewed efforts by the international community to curtail tax evasion by their taxpayers. As we recognize and promote Financial Information Month, a number of activities have been planned which will target businesses, schools and the community, in general. 2. Financing Innovation and Entrepreneurship in the OECS. The other activity that is specific to the Business Sector is an ECCU Train the Trainers Workshop for Financial Practitioners where emphasis will be placed on Improving Interpersonal Communications to Enable One to Become a More Successful Leader. Participants are expected to gain a deeper appreciation and understanding of the workings of effective communication and conflict management which can ultimately lead to more effective individuals and higher performance. As is customary, Presentations will be made to Schools on Financial, Economic and Business Issues. The presentations will engage students in interactive and informative discussions and activities that seek to develop their understanding of everyday financial, business and economic issues that are important for their overall development. A Primary School Quiz on Financial, Social Studies and Creative Thinking Subject Areas is also being arranged. It is anticipated that the quiz will stimulate our youth to be better critical thinkers and problem solvers – key skills that are required to be successful in today’s environment. • Record Keeping best practices. Other activities that are being organized specifically for the general public are Newspaper and Internet Articles, Media Discussions and Public Presentations that will inform the public of pertinent financial, economic and business information. There will also be a Financial Sports Meet for financial and other private sector institutions and a Charity Initiative. This initiative will see care packages being delivered to families who are in need and the provision of financial counselling to those who require this form of assistance. As we embark on the 14th Financial Information Month, the Government of St. Kitts and Nevis commends the ECCB and the public and private sector entities for their continued collective contribution to financial literacy. The events are planned so that there is something for everyone. I encourage one and all to participate in the activities that have been organized for the month and to make good use of the opportunities that will be provided; opportunities that are geared to educate us about financial matters and to generate ongoing discussions about emerging financial issues. I also urge all citizens and residents, to advance the financial literacy and information initiatives beyond the designated month of October so that we may succeed in having a sound financial future. Let us, for this month and beyond, strive to LEAD – to Learn what we can in this area so that we may enhance our business and personal lives; to Empower ourselves and others as we increase our knowledge in financial matters, so that we may Achieve financial and economic success as we Develop ourselves, our communities, our economy, our Nation. With this undertaking, it gives me great pleasure on behalf of the Prime Minister and the Government of St. Kitts and Nevis to declare the official start of the 2015 Financial Information Month. I thank you and may God help us to achieve the goals established. Thank you very much.